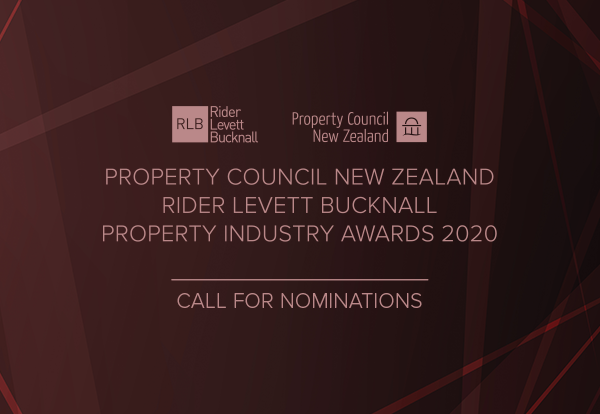 The prestigious Property Council New Zealand Rider Levett Bucknall Property Industry Awards are presented to outstanding property projects, developments or substantive refurbishments across New Zealand. Above all, the Awards recognise buildings that provide an outstanding return and/or delivery of service potential on investment of funds. For some this means a return on speculative investment; for others it means creating a development that supports productive activities, which creates value for both owners and users. Please download the 2019 Nominees list here. Tickets are now available for the Awards evening. Download the registration form here. To view the highlights from the 2018 Awards, including all winners, photographs and information, please click here.